Here at Original we believe that generous hands are never empty, so each Original Conference we choose a cause to support and ask ladies to bring something with them to give away to support it! Check back soon to find out what our next Original Gives cause is! Each year at Original Conference we take a moment to honor women who have faced challenging circumstances with courage and faith while still loving and serving those around her. The deadline to nominate someone for Give Love is April 1, 2019 at midnight. We believe God wants each of us to be a light in the darkness – to be a part of making a difference! When we all join together, our individual lights can become a brilliance that is undeniable and truly world-changing. The idea is simple really, if we all give $1 each month, then how many thousands can that become? If we gave even a little more than that, how much more could we help? The monthly funds that are received will be given to those who are in need: victims of human trafficking, the refugee crisis, or missionaries around the world. Together your one dollar will become thousands, making a difference that is undeniable! We will keep you updated on all of the good you are a part of throughout the year as we make a difference for Jesus! We all can be a BRIGHT ONE! 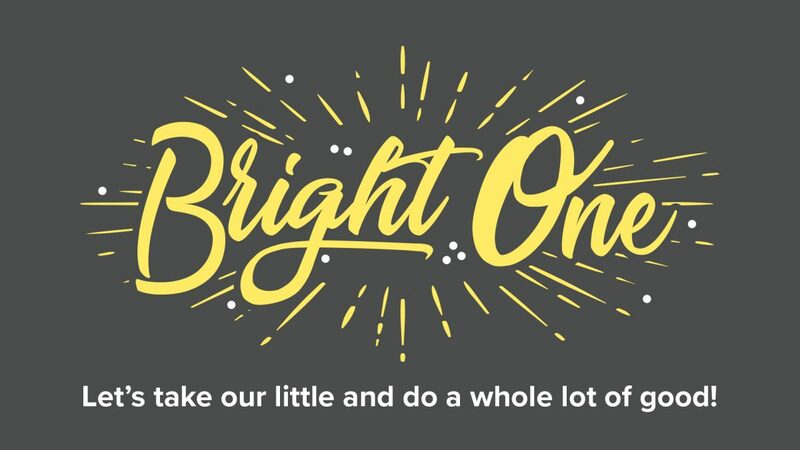 Let’s take our little and do a whole lot of good! Set up recurring giving online with Paypal. Complete the transaction in Paypal. Pray that we make a meaningful impact! Give online to support the generosity initiatives that are dear to the heart of Original!